Out of many memorable life events, weddings are undoubtedly one of the happiest points in every person’s life. That being said, every soon-to-be bride strives hard to make the celebration unique and as perfect as possible. However, planning a wedding can get tedious. Not only your attention goes to the budget, but there’s a whole army of wedding decor ideas marching through your head. Table arrangements, making of menus, finding the perfect venue, sending out invitations, not to speak about creating dozens of tiny details, sound like a mission so impossible to handle. But don’t despair. It is all achievable. Heads up: This one is quite long, so we created links for you to browse through sections quickly. Let’s start from the beginning. What do you and your partner enjoy? Your answers could dispel your doubts instantly. Different wedding styles are outdoor, indoor, beach, rustic, chubby chic and casual. Pick and stick to whatever it is that you like. When you have a style in mind, plan the colors and decor. The venue also plays a significant role. Stick to easy-to-achieve tricks for they will highlight the central motifs and create the atmosphere you desire. Your wedding planning will turn to pure joy, just as it should be. Another important thing to consider is the budget. If you’re dealing with limited finances, pick fewer colors and decorations that can easily match. With endless choices of wedding themes, you can get muddled if you do not make a stand on what you truly want on your wedding day. So, let these tips help get on you on the right track. Your wedding does not necessarily need to follow the latest trends you’ve seen in the weddings you’ve attended lately. Remember, you are the centerpiece of your wedding day. The style that makes you happy and satisfied is the only thing that counts here. So, rely on your preferences, exchange ideas with your partner and try to twig the style that you both will like and enjoy. You may opt for pastel and romantic, rustic wedding, subtly elegant ceremony with candles and roses, or even extravagant bohemian celebration in the middle of the meadow. Everything that matches your personality and style is allowed. It’s enough just to look into your living space and lifestyle to recognize what can be the winning ambient for your wedding day. If you prefer contemporary lines and monochromatic metallic palettes, minimalist elegance may be the right choice for you. Fancy pink and silky ambient can be the fantastic theme for romantic souls and chic fans, but if you and your loved one are more into relaxed, laid-back lifestyle, then you probably should go for something like retro, beach or party style theme. 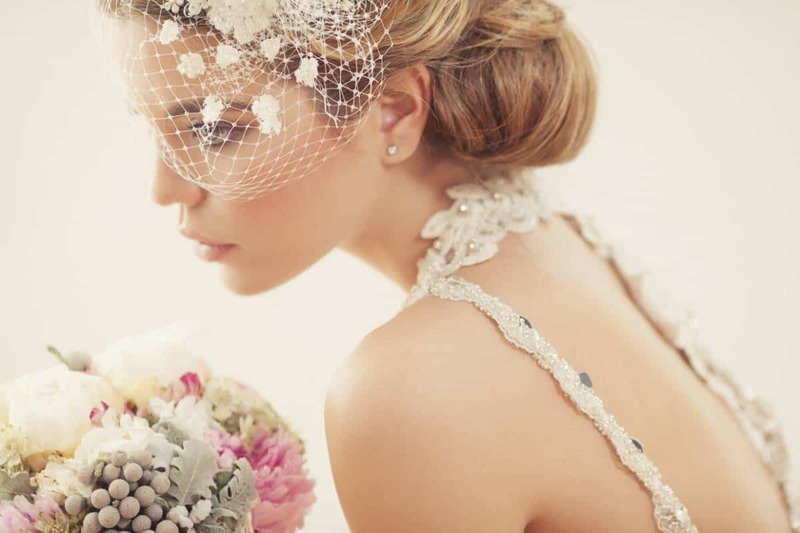 You’ve probably never thought that seasons can help you pick the appropriate wedding theme. It’s like one of your best allies in the thrilling wedding decoration game. The best thing you can do is to take advantage of the season. If you plan to get married in the summer, focus rather on natural flowers and aisle decoration than on lighting and wallpapers. Besides, natural landscapes that surround outdoor wedding venue can serve as beautiful decor for absolutely free. Another thing to bear in mind when decorating is the wedding venue. If you are hosting a beach or garden wedding, you may go for the natural elements such as greenery, flowers, garlands, elegant aisles, lace curtains and lighting items such as torches and lanterns. However, if you plan an indoor ceremony, it would be great to decorate according to the look of the space. 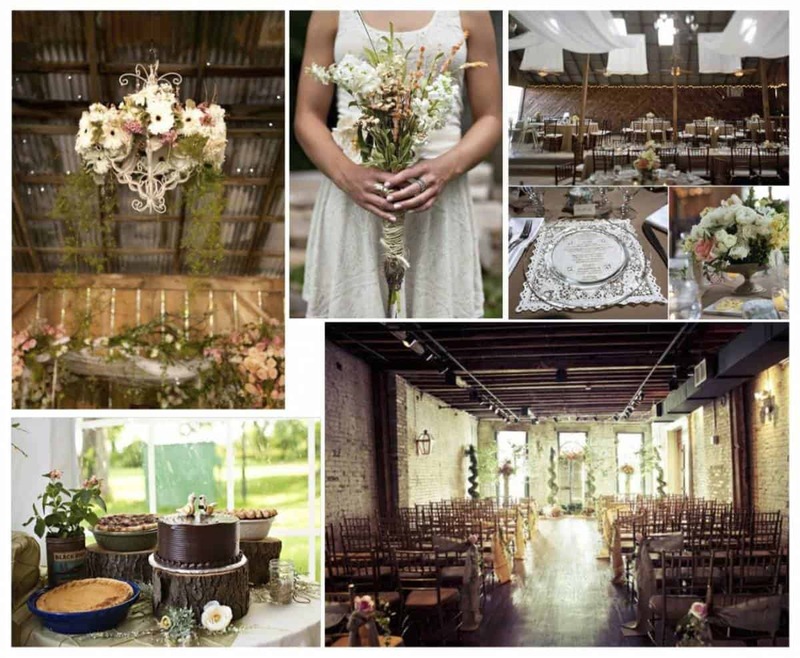 A wedding venue with the neutral feels gives you freedom to experiment with the theme. If space already contains the diversity of colors and shapes, it would be the best to look for nuances and style which create cohesion with what’s already there. You certainly don’t want your wedding day to look like a circus parade ten years after when you flip through your wedding photo album. Trends change over time, but some ideas remain in style. Instead of just striving to create a decor which will reflect your current passion for a favorite band or movie, better opt for less drama and stay loyal to good old classics. White and light purple peony bouquets, crystal vases, satin tablecloths and chair covers will never go out of fashion, as well as scented candles and lace accessories. You can always personalize the space with practical details. 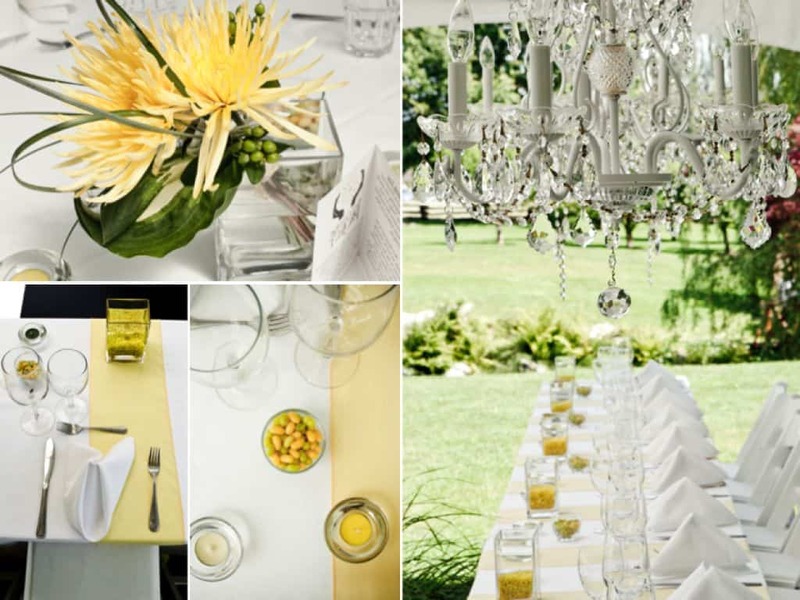 For modern outdoor summer weddings, the combination of bright yellow, tangerine and orange can bring a lovely and refreshing set up. When opting for this, make sure you pair them with neutral elements such as white tablecloths or crystal dining sets. A white or beige base is soothing while orange and yellow tones exude energy. Country weddings are also popular these days for many couples. Navy, sky blue and yellow table decor combined with white tables and chairs create harmony and authenticity at once. Add rustic navy and yellow flower arrangements, such as gerbera daisies and lavender and you’ll have fantastic vintage ambient. 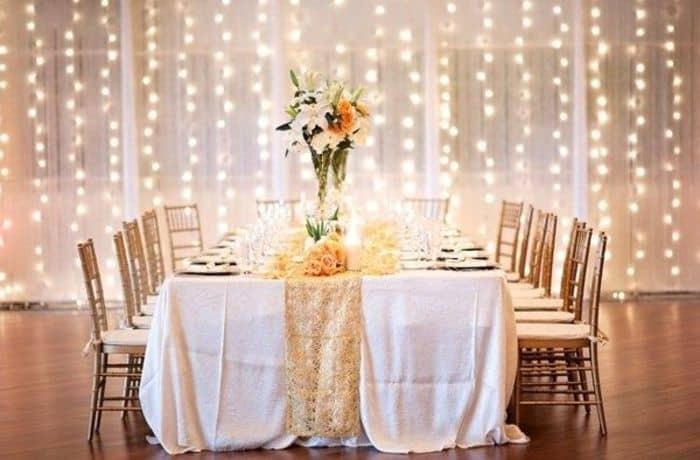 If you dream about lovely bohemian style wedding, you can create authentic and sophisticated wedding décor using cream, gold, pumpkin orange and emerald green nuances which will nicely match with each other. You definitely won’t go wrong if you decide for an elegant indoor or outdoor ceremony which is classical but unique, of course, as long as that fits with your personal preferences. 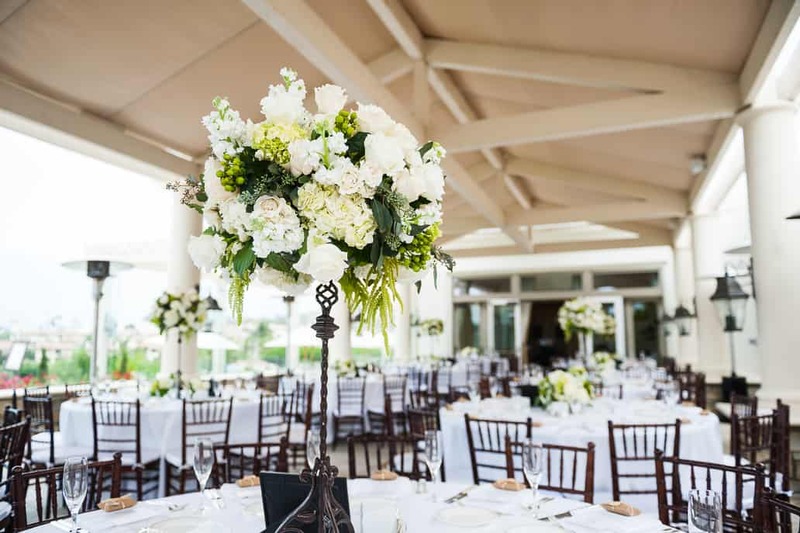 For this type of weddings, choose anything from ivory and light gray nuances to white, beige, mint green and light brown. As long as your wedding venue is neutrally colored, you can play with this color scheme in various ways. 5. Traditional or unconventional wedding. The kind of ceremony is one more thing which can significantly help you determine the motif of your wedding. Traditional weddings are best if decorated in the classical spirit. Though they provide beautiful and straightforward elegant touch, that doesn’t mean you should give up on personal details. If you plan to have “out of the ordinary” wedding, give yourself the freedom to experiment a bit more. Even if you rather want an extravagant more than a classic wedding theme, make sure the simplicity is your primary guide. Too many details and different decorative elements can cause space look crowded and disorganized – you don’t want a kitschy look for your wedding day. To avoid this kind of scenario, look for the things that can be the foundation of your decoration – neutral colors, subtle lines, and textures. Furthermore, highlight the space with the compelling centerpiece or combine few themes that correspond to your style. In case you would like the eclectic look, opt for two or three colors that create cohesion with each other and use the same logic for ornaments. 7. Keep the budget in mind. Tight wedding budget doesn’t have to affect the overall look of your wedding venue, just like the unlimited budget doesn’t always guarantee the top-notch decoration. However, you can use the budget as your starting guide for planning the variety of different styles and decorative items. Make wise choices and get rid of throwing money in the wind. Learn how to set priorities and believe that “less is more” ideas. Making every single detail of your wedding by yourself can help you save tons of money. Yes, these projects require time and effort to create yet being a hands-on bride can give you fulfilling rewards. Bonus feature: Choose from some of our ideas or combine them, and you’re up for a playful DIY wedding planning! We grouped the ideas into to sections for you to quickly browse through them. Centerpieces can be anything you want – your imagination and creativity set the boundaries. 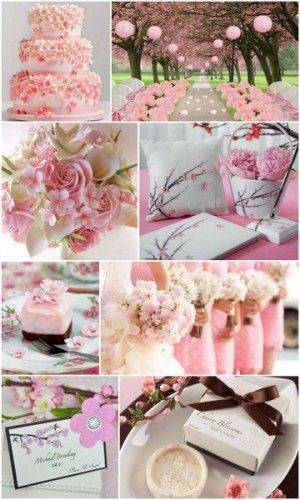 The theme of the wedding, color palette, and overall style of the wedding should influence the centerpieces you’ll make. Have in mind that there is no need to go with too complicated stuff – simplicity is often better. 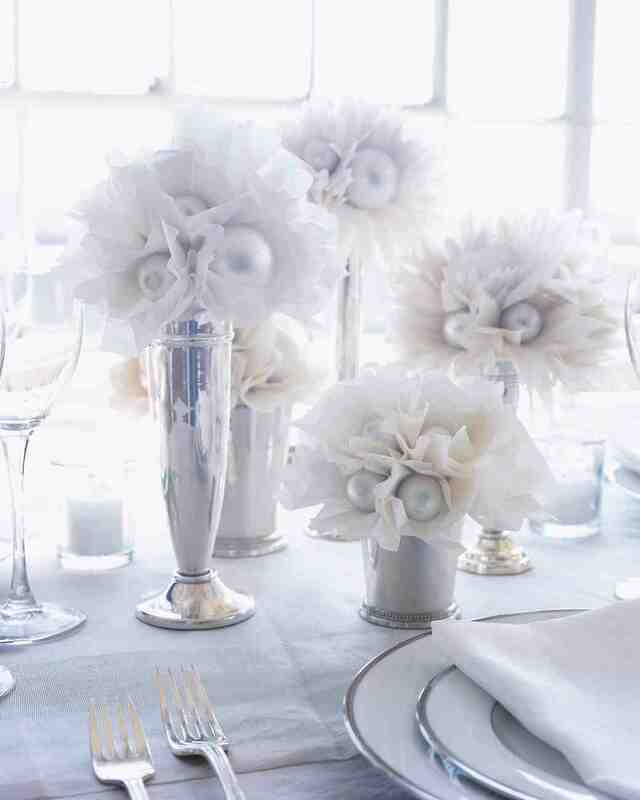 Here’re some cheap DIY centerpieces ideas that look amazing, and you’ll make them quickly. 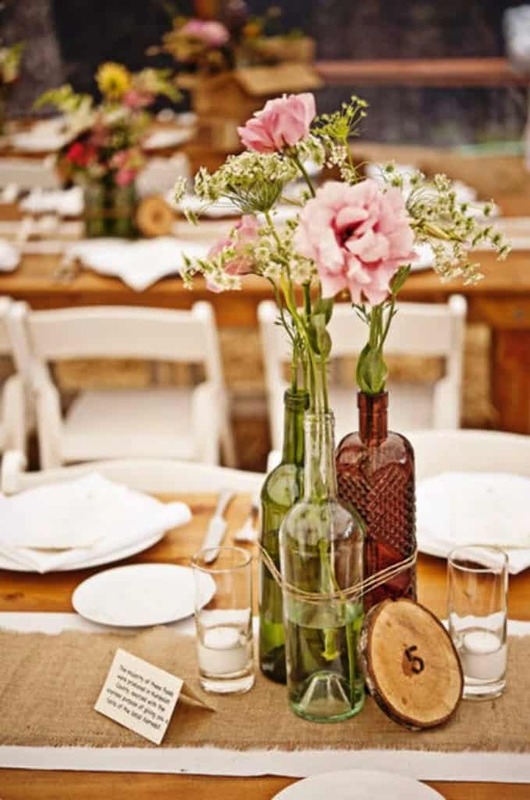 If you are planning to have a vintage wedding, this is the best and simplest centerpiece you can make. You’ll need three empty glass bottles (different-sized and different-colored are the best) and a rustic rope, and a wooden piece for numbering. Fill the bottles with water randomly and place your favorite flowers. 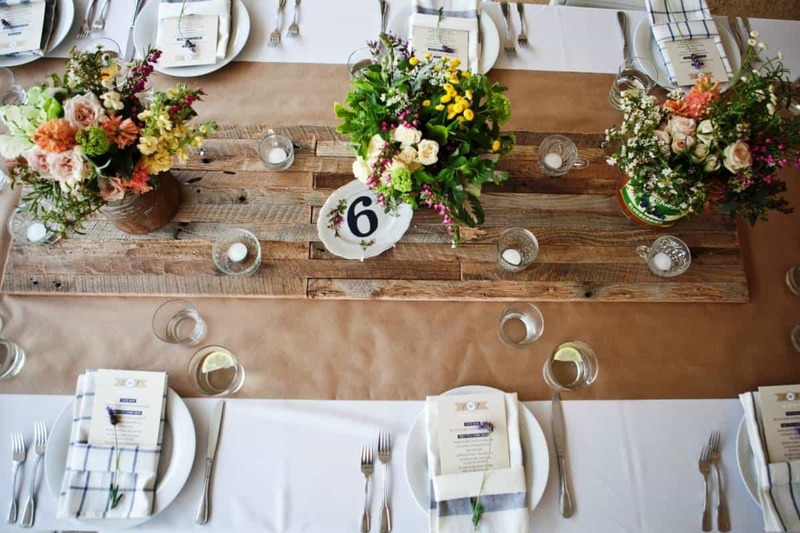 Use the wood piece to mark the table number and voila; you have a perfect wedding centerpiece! We all have a lot of jars somewhere in the house. When decorated with taste, they can look so adorable and glamorous at the same time. Transparent and satin lace glued around them make up for wintery centerpieces. Put candles inside and set them up. 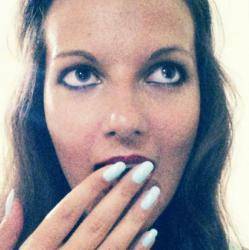 The “Wow!” effect – guaranteed. Which flowers are your favorite? 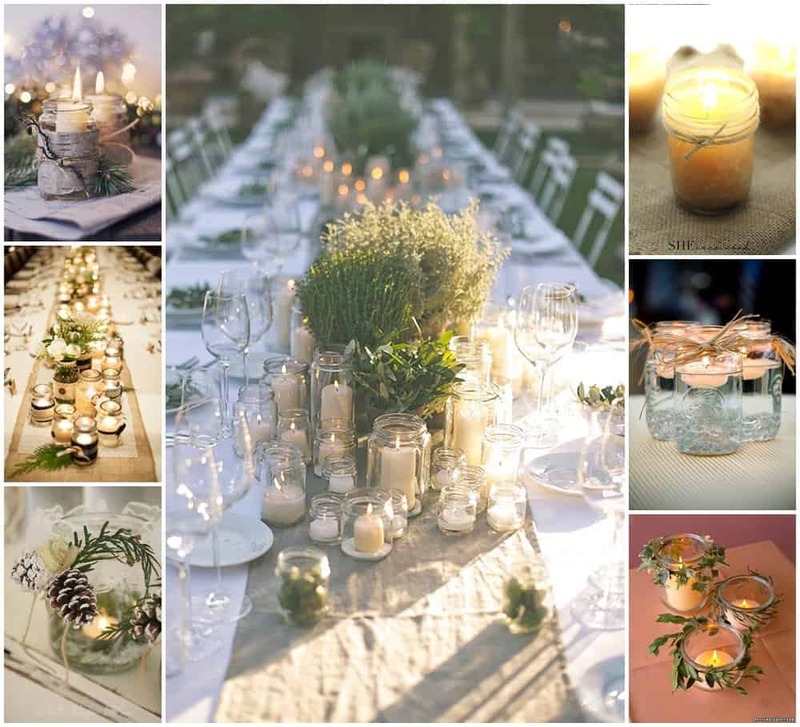 Which ones you think would go best with jars on a wedding? A cute display of boxes filled with colorful candies, homemade cookies, or other souvenirs can be great decors too. You can wrap them with any paper of any color you like pop with an attractive ribbon. 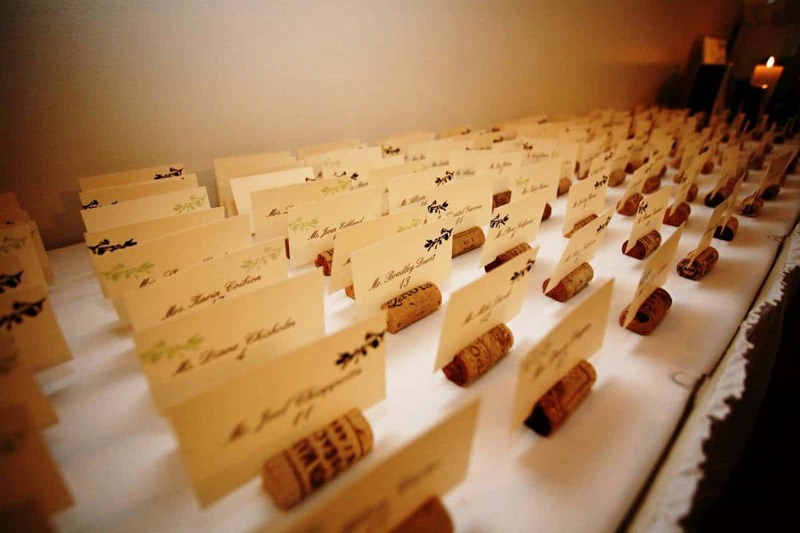 Bonus: A creative idea – you can set the boxes to display the table number. Flowers are limited during winter.They can be too expensive during this season, or you’ll have a tough time looking for supplies. Ideally, flowers made out of tissue and paper can replace real ones, and they are just as gorgeous! The bouquets can be in different cups or trumpets, to achieve the elegant look that will be memorable. If you want to make this decor for your centerpiece, here is a full tutorial. Fan of carnation? This can be the cutest DIY project for you. All you will need to make your reception a gallant is a bunch of carnations, candlesticks and an oasis floral foam spheres. It is practical, easy to make and cheap. 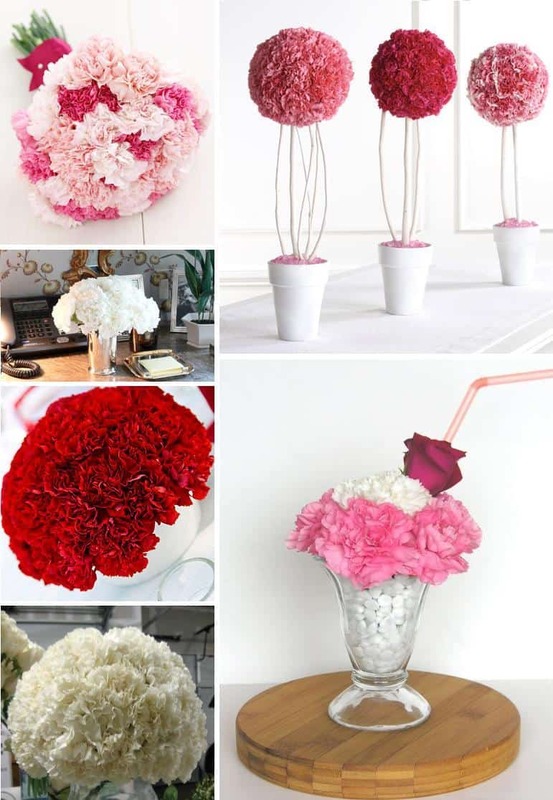 You’re just about the make the most amazing carnation balloon that every one of your guests will want to take home. It can match your dress and is neutral to any decoration. Here is the full tutorial. Enjoy! Why would you have to spend hundreds of dollars for a wedding lighting when you can create projects of this kind at your home, with the material you already have. 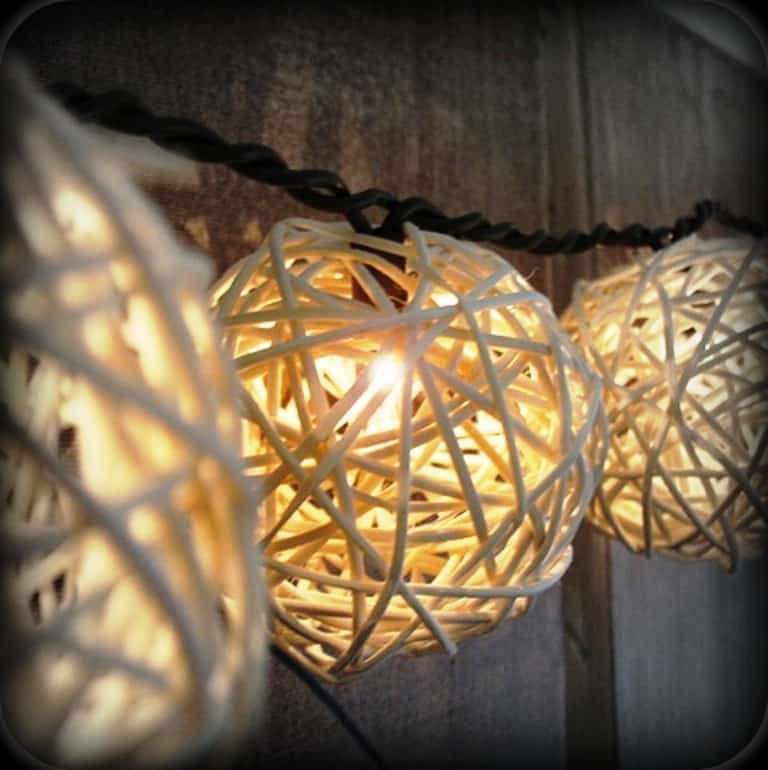 Check out some amazing DIY lighting projects we have picked for your perfect decoration below! This fantastic decoration can make for a modern atmosphere. These balls are cheap. You can even make them yourself with some glue and a rope. See the full tutorial here. For the fans of rustic, vintage and themed weddings this chandelier can make your reception way different. You will need tree branches, a couple of bulb sockets, wires, and glue. Although it looks a bit complicated, it takes a little time to make your unique chandelier and impress everyone with it. This is a detail your guests surely can’t keep noticing. Check out this link for the full DIY tutorial. 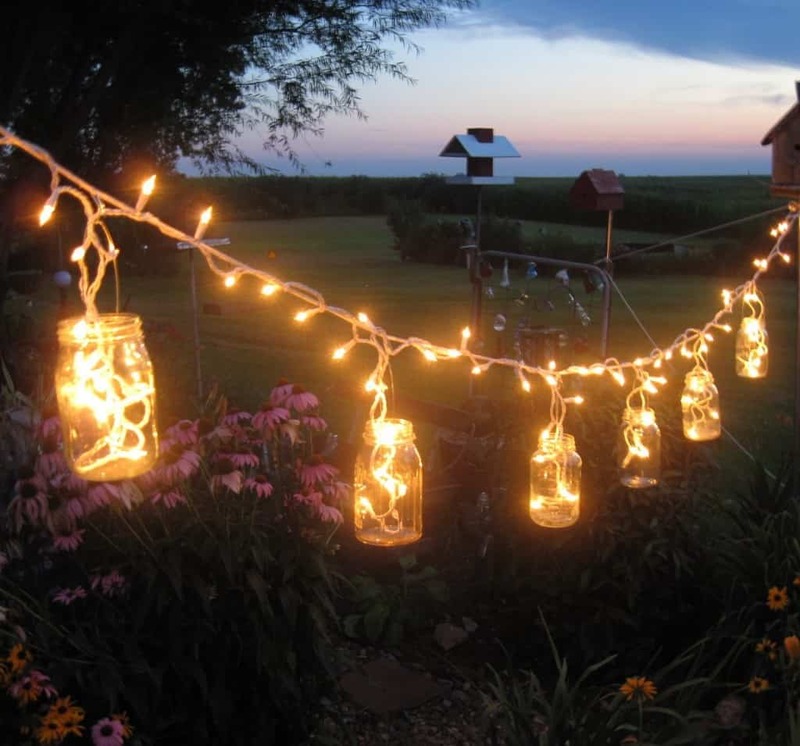 These mason jars are fabulous, and it’s stunning to see them shine just by the light of a cheap Christmas lighting. All you will need are the jars, lights, and the hanger. These lights are perfect for an outdoor wedding. To check the full tutorial how to make this decoration, click on the link. 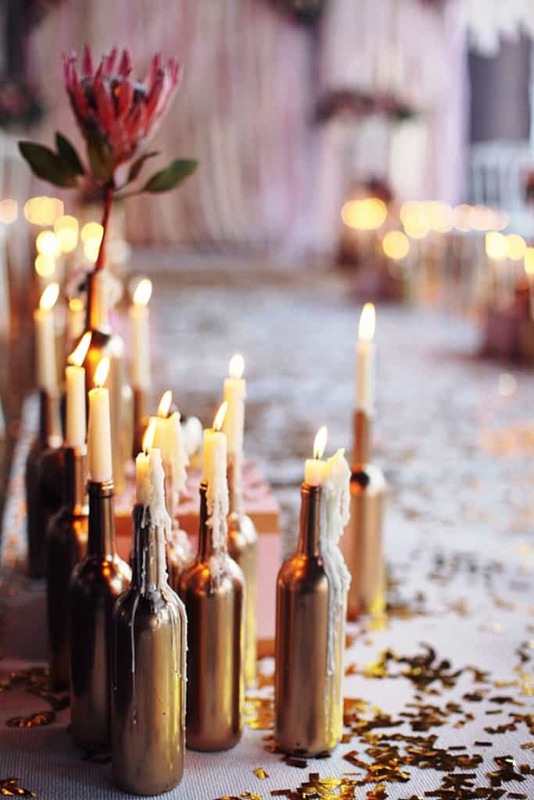 Imagine your wedding lighted with romantic candles on silver bottles all around. You can use ordinary wine bottles sprayed with some silver or golden spray. Any thin candles to fit this unordinary candlestick and voila, the romance is here. This is for those that want to make romantic, but affordable wedding decorations. It doesn’t need to be expensive to be classy; you can use this functional decor for tables as well, or you can put them all in the reception hall to shine your way while you are dancing your first dance. 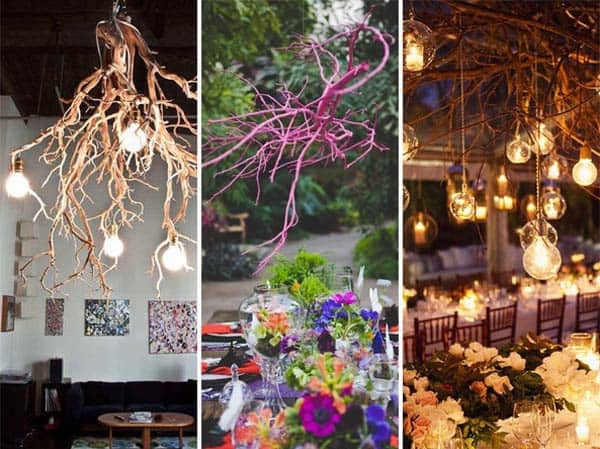 To make this attractive and practical lighting for your wedding, check this link. Featuring a dramatic, waterfall-like lighting. You can use this lighting style attached to the wall behind the main table or on every wall in the reception hall. For a romantic feel, turn off the venue lights and leave these lit up during special moments like first entrance as husband and wife and first dance. 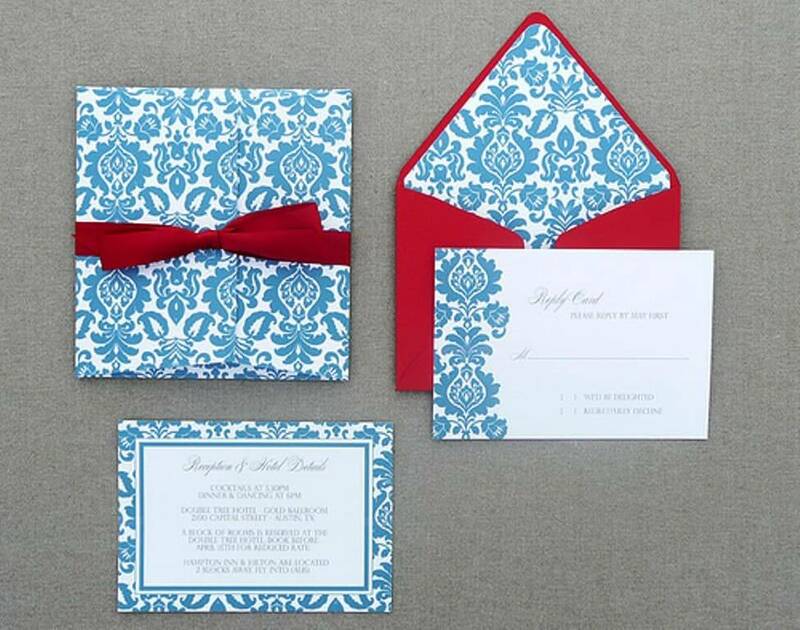 The traditional bride wants the traditional wedding invitations. If you want elegance and sophistication but don’t want to break the bank on invitations, a DIY project is your best choice. 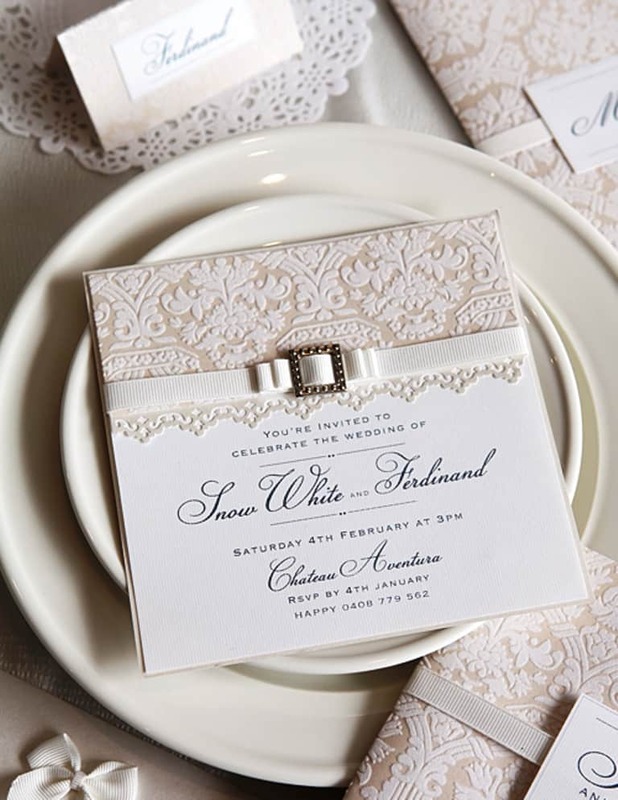 Invitation with some cute accessories is a must for an elegant wedding; satin lace and beautiful writing is an excellent choice. To make this dreamy invitation and tickle your guest’s imaginations see the full tutorial on this link. For those who want that vintage and retro touch, invitations are the gateway to a good taste and introduction to the wedding theme. This pochette wraps your invitation into cute and a small sassy package, looking so retro. A good detail is a mystery inside because each guest will have to unwrap this packaging to read the lines you have written. Directions for making this kind of invitation are in this link. Yes, infographic works. 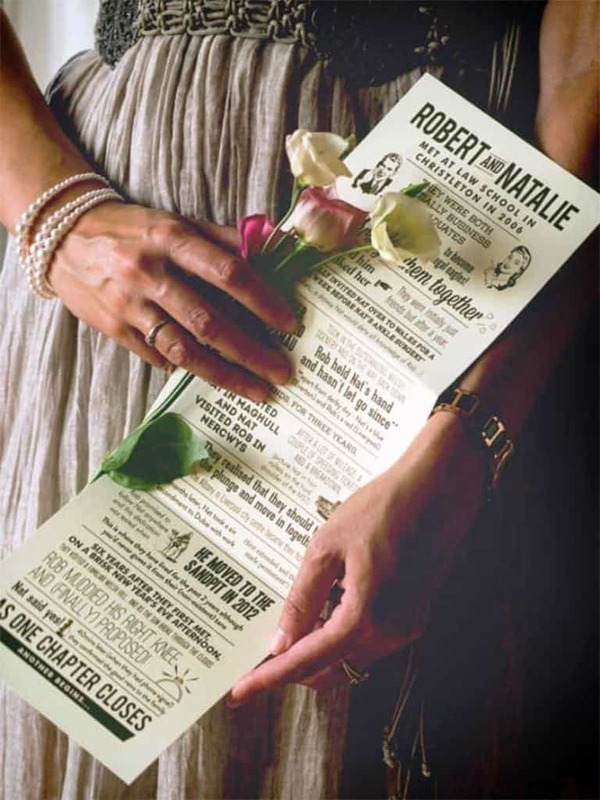 Showing a timeline of your love story makes up for cool wedding invitations. If you are like golden and classy details, this idea is for you. These are cute and cheap, costing you only patience and skills. 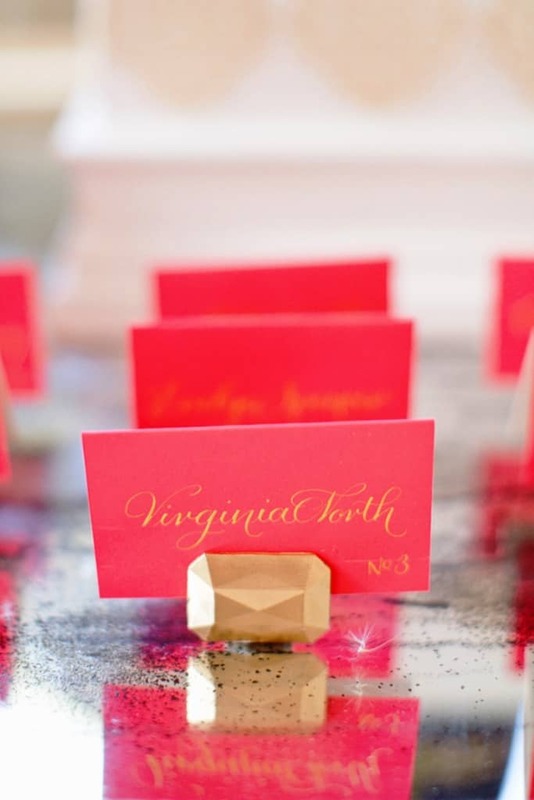 These place card holders are painted in gold, but you can choose any other color you would like. See the full tutorial here. These bent forks made as card holders go out to show that the simplest ideas are sometimes the best ones. Would you agree? This DIY project lets you make a fabulous card holder even with a small budget. You probably have some wine bottles or corks at home. If you don’t, you can get them easily almost anywhere online, for a very low price. See the full path of making these cute card holders by clicking this link. Enjoy your new project. The biggest question is where to make the reception. You will have to hire an organizer, that will cost you, or you can try to find the perfect place and decorate it like you always wanted yourself. Let’s see some of the examples of how to decorate your reception all alone. 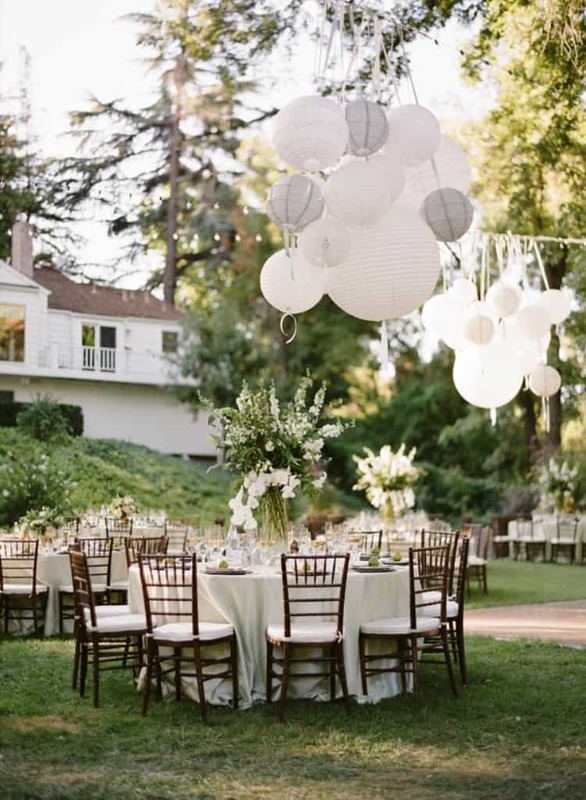 Hanging lights are also popular for backyard receptions. For more information about this kind of wedding reception, check this link. Love quotes written on mirrors? Why not! That’s being literally reflected with love! Take some ribbons as a backdrop and accentuate with some old vintage items. 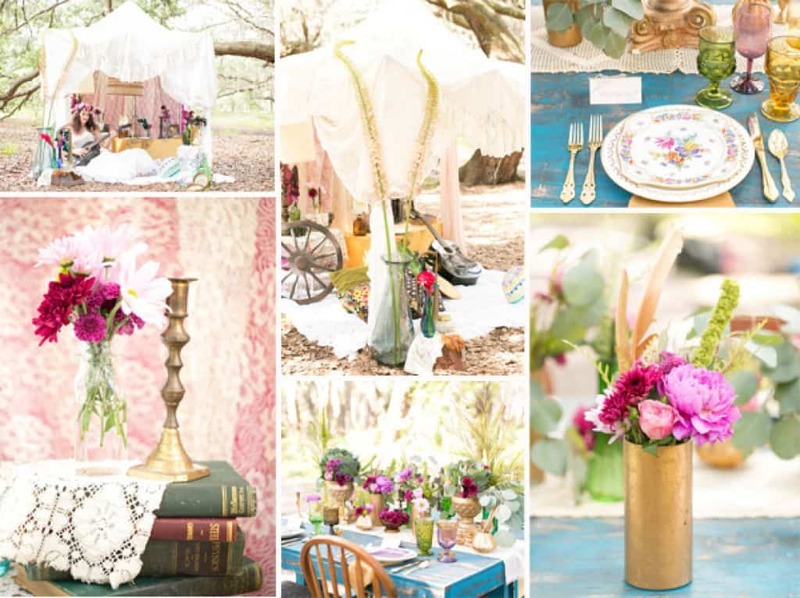 Voila, your lovely DIY wedding reception is done. All easy and cheap! Your personal touch is the best decoration – no designer or materials can ever replace that. Pictures of your first date, first kiss and first meeting with the family make up for a great exhibit of love. There is nothing as heartwarming as giving your guests a beautiful and comfortable space to relax, eat and enjoy during your wedding party. They’re ready to spend hours with you on your big day and one special way to accommodate them is to let them sit in gorgeous reception tables. This place setting features the use of wood as part of the centerpieces. Candles and numbered plates are a great add on in this setting. To make this adorable stencil numbering of your own, click here. 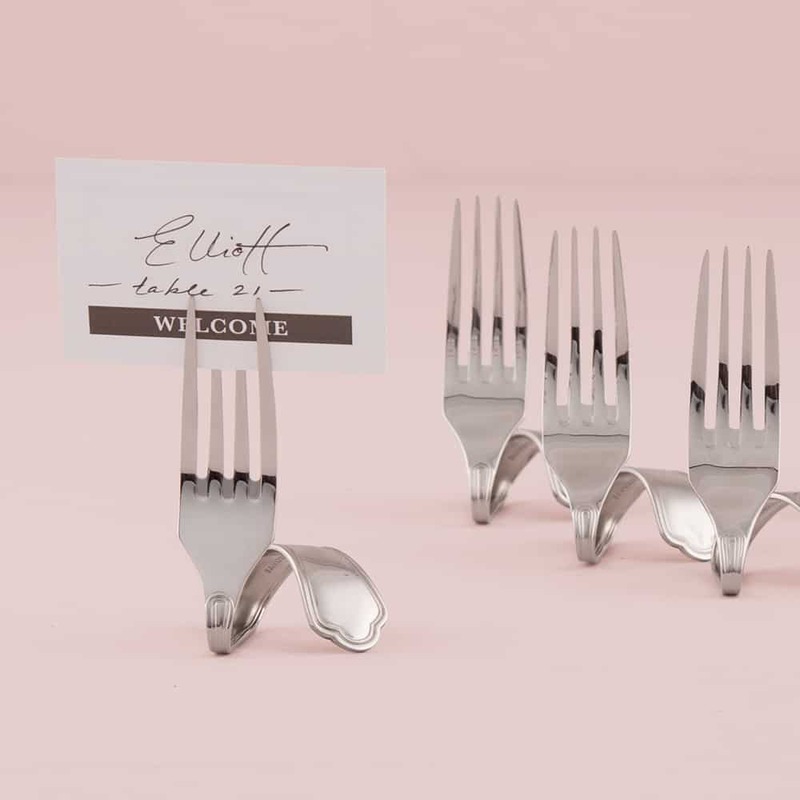 This place setting is just too cute! 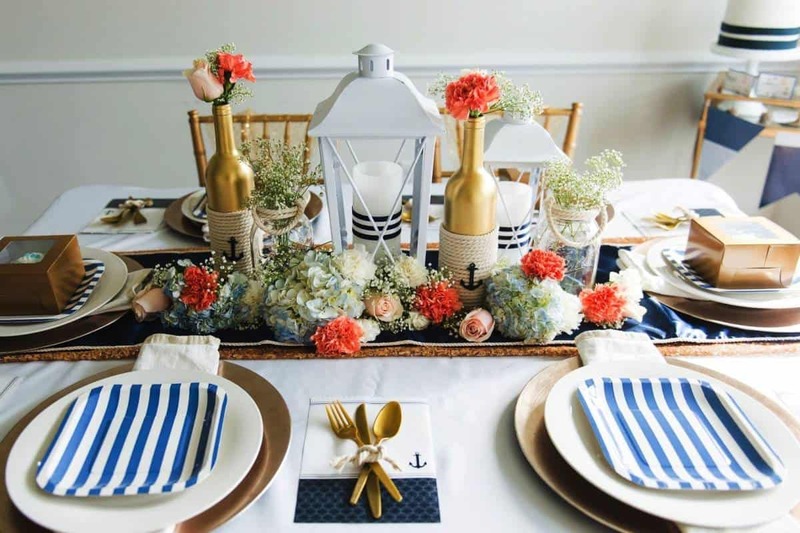 This nautical wedding table can be yours if you just take some time to sail to the land called creativity. To make this nautical table, click on this and follow the steps. Laces and burlaps are popular in weddings too. They make for affordable table settings. It isn’t necessary to waste your budget on some fancy porcelain after all. For a rustic vintage look, use some books, mason jars or your favorite flowers. Keeping it simple and beautiful will leave your guests thrilled. Your wedding should depict your personal preferences. 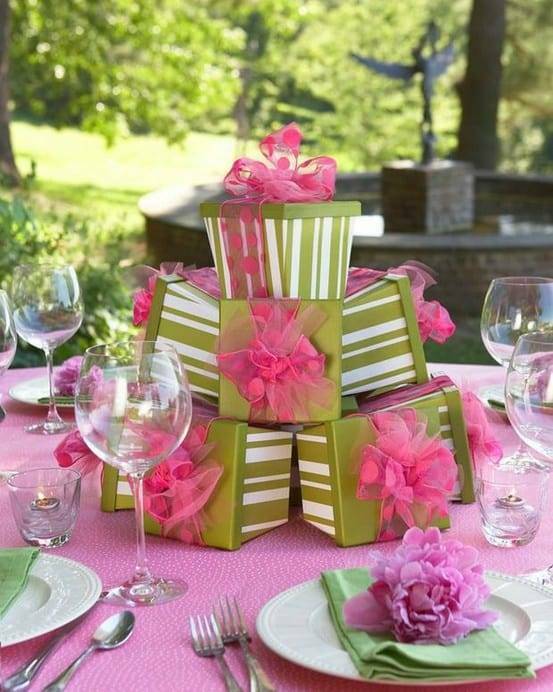 Every girl’s dream day should be designed and decorated perfectly. 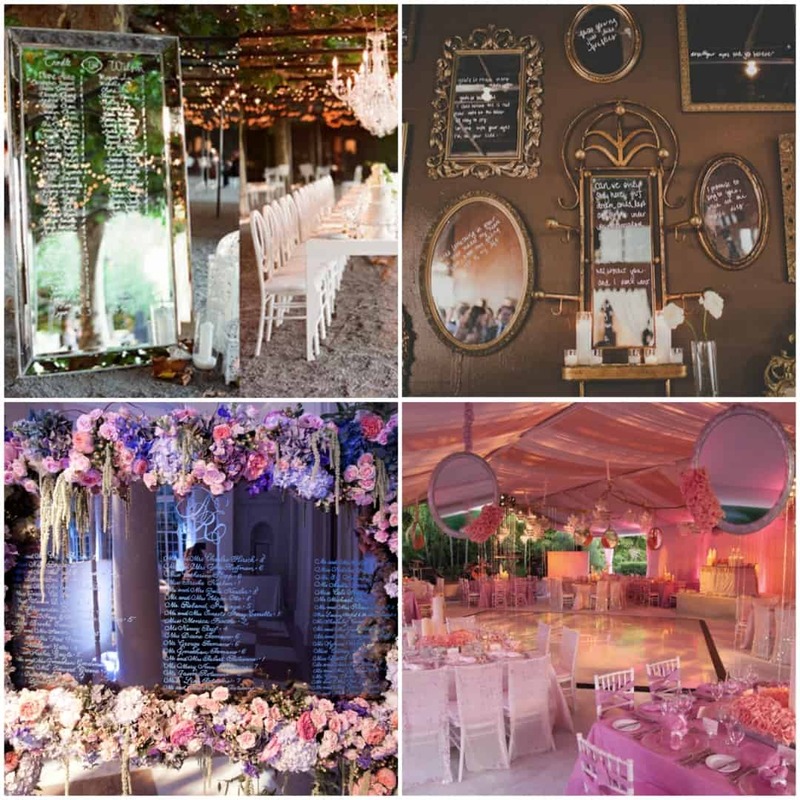 Even on a budget, creativity demonstrates that you can have a fairy tale venue and fantastic atmosphere. DIY projects that we listed here can be customized to your needs, and combined to create your unique style. 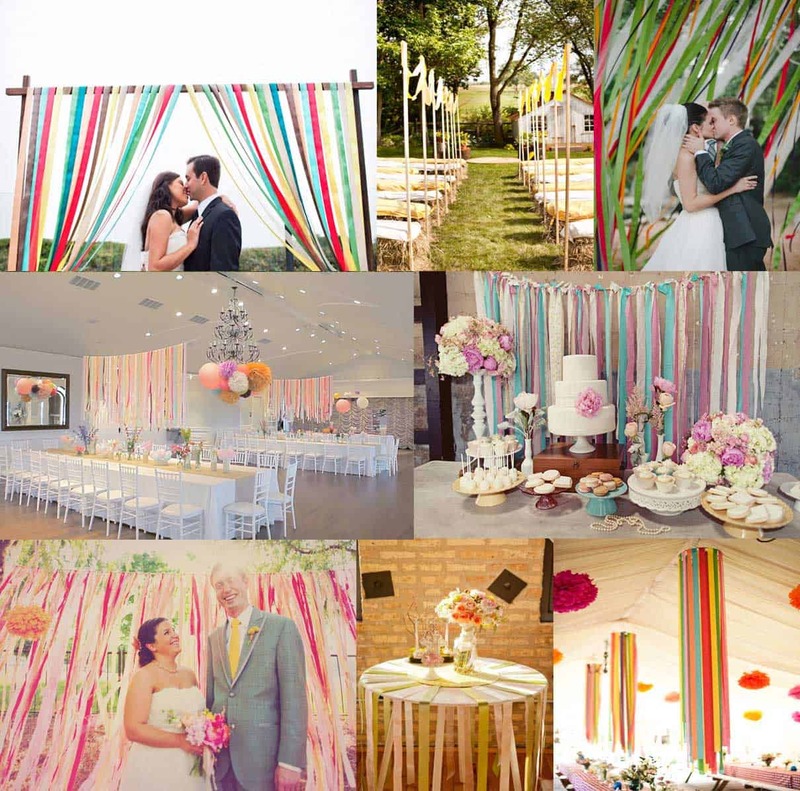 Don’t stop until you create your perfect wedding decoration. Just think, all these DIY projects you’ve worked so hard to create can be used later on to decorate your new home with your spouse. 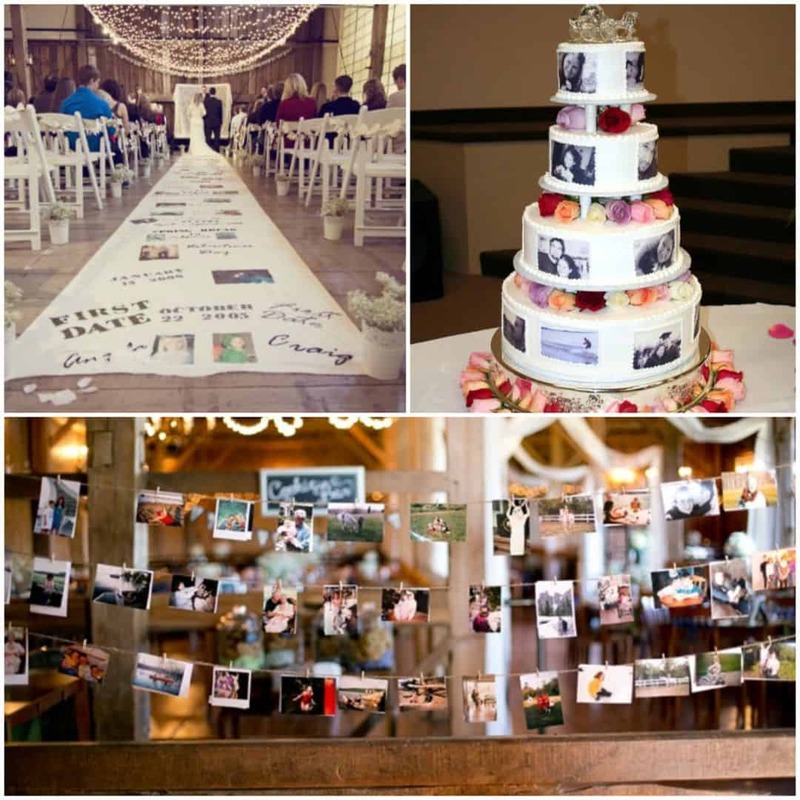 For ideas on repurposing wedding décor at home, check out our guest post on the Life Storage blog that was featured in their interactive Map My House site. Which wedding theme have you chosen? What are your favorite decorations? Let us know in the comments below!